Isn't there an old saying about learning to fly before you can fly? 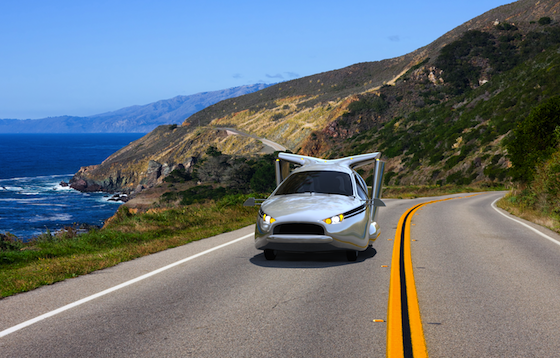 But in talking to Terrafugia CEO Carl Dietrich last Friday, he made it clear that the company looks at the TF-X as the kind of vehicle that could — big could — usher flying cars into the mainstream. It would be capable of taking off and landing vertically, outside of an airport. (Heliports or empty lots are fair game, as long as you have permission.) It would have "fly-by-wire" controls that would let you set your destination, and have the vehicle navigate to it with minimal pilot involvement. It'd be a plug-in hybrid outfitted with both batteries and an internal combustion engine, which would presumably make it more fuel efficient than most of today's "general aviation" (a/k/a private) aircraft. The TF-X would have a 500 mile range. And as with the Transition, if you encountered bad weather, rather than trying to fly through it, you would simply land at the nearest safe spot and drive the rest of the way to your destination, at highway speeds. 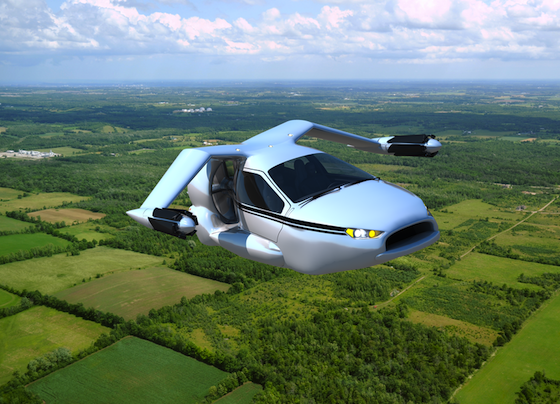 And if Terrafugia can somehow attain large enough production volumes, the TF-X might actually be a flying car that the middle class (OK, upper middle class) could afford. 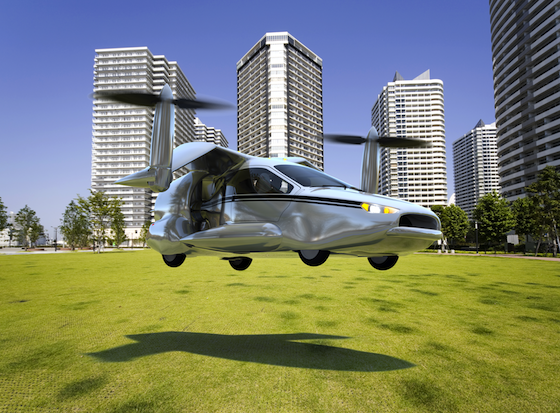 (Terrafugia anticipates the base price of its Transition will be $279,000, and in our conversation Dietrich expressed hopes that the TF-X would sell for less than that.) Dietrich acknowledges that getting the TF-X to the market will probably be at least an 8 to 10 year process, and require his company to do some major fundraising. More concept images and a company-provided video are below, plus the audio of our conversation last Friday, which runs about 20 minutes.